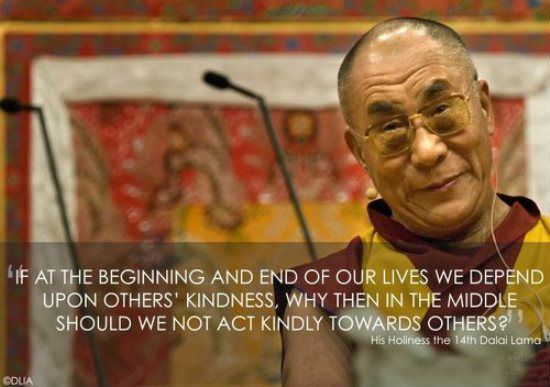 If at the beginning and end of our lives we depend upon others’ kindness, why then in the middle should we not act kindly towards others? That’s what my mother did. And my father was the first person she’d met who treated her kindly. She was terrified of men, and she married a very meek, kind, dear man. And she had the upper hand. She ruled the roost.